The Alka Jug turns ordinary water into alkaline ionized mineral water. It increases the pH of drinking water from the nominal 7 to a range of about 9 to 9.5pH, which has many health benefits attributed. 'A radical new "Alkalizing" media that can raise the pH of water to the 9 - 10 range very quickly, but does not allow the pH to elevate to undesirable levels even after extended contact. Filtration media: activated carbon, it is to absorb chlorine, odour, colour, heavy metals and purifies the water. The manufacturer uses Calgon Activated Carbon which is imported from USA, which has better adsorbability and higher cost than normal carbon. 1. Far-Infra-Red Energy Beads: it is made out of natural infrared raw materials, which add maifanshi stone and seabed minerals that contain useful trace elements, manufactured with a ceramic technology method. In the Far-Infra-Red process, the organisms absorb frequencies of 8-14um which has 90%+ infrared emissivity. The released infrared energy can be easily absorbed, producing smaller water molecule clusters. 2. Negative Ion Minerals: The ALKA JUG media dispenses ionic minerals into the source water offering negatively charged ions for improved absorption of minerals by your body. 3. Minerals and useful trace elements: The ALKA JUG cartridge is adding to your water essential minerals and trace elements, such as magnesium, strontium, lithium, silicium, zinc, selenium, calcium, potassium - and many more, up to 90 minerals and rare trace elements assisting healthy functioning of your body. It is also recommended to obtain pH testing drops, so you can see the difference of your source water's pH and the resulting alkaline water from the Alka Jug. 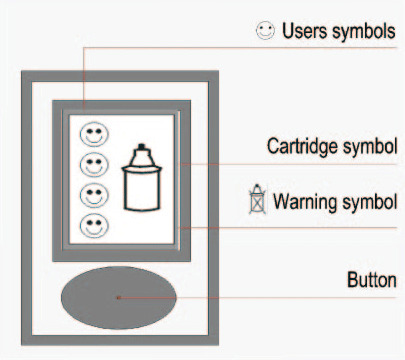 Further it offers a real assessment of the remaining life of the cartridge's capacity to alkalise. pH testing drops can be purchased in the drop down menu above. "I personally have used the Ionza Alka Jug in my own household long term- it is the best tasting water I have tried (I did a blind taste test comparing 5 different types of water) which means I keep myself hydrated, and I have experienced reduced stomach acidity and my skin has improved. In my practice, I often recommend the Ionza product for anyone wanting to have a detox from years of unhealthy eating habits, a stressful lifestyle or someone who just has trouble drinking enough water". "I love the water, I enjoy the taste ... I have more energy, my pain has lifted ..."